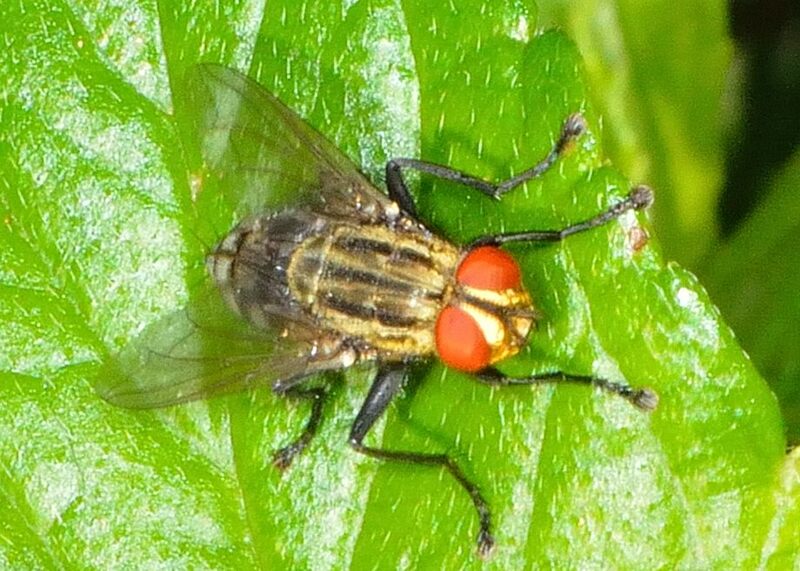 Yellow Flesh Fly - Sarcophaga bidentata ? 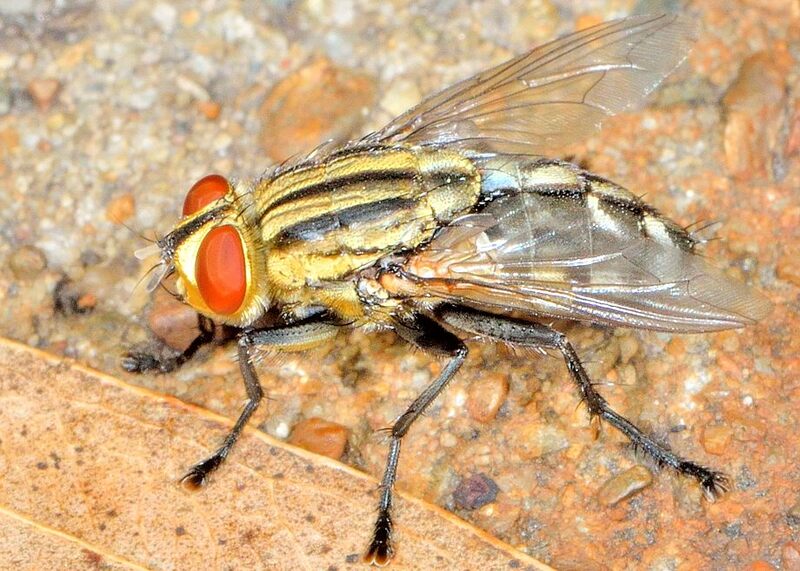 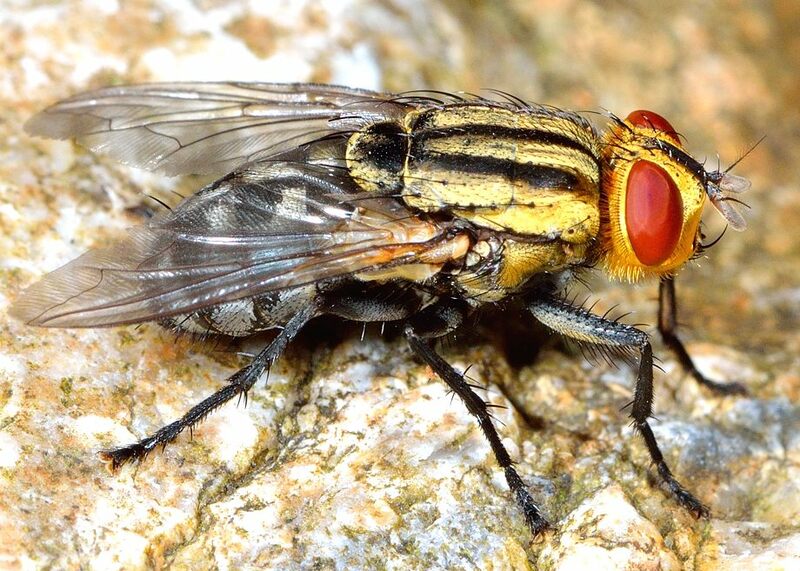 This page contains pictures and information about Yellow Flesh Flies that we found in the Brisbane area, Queensland, Australia. 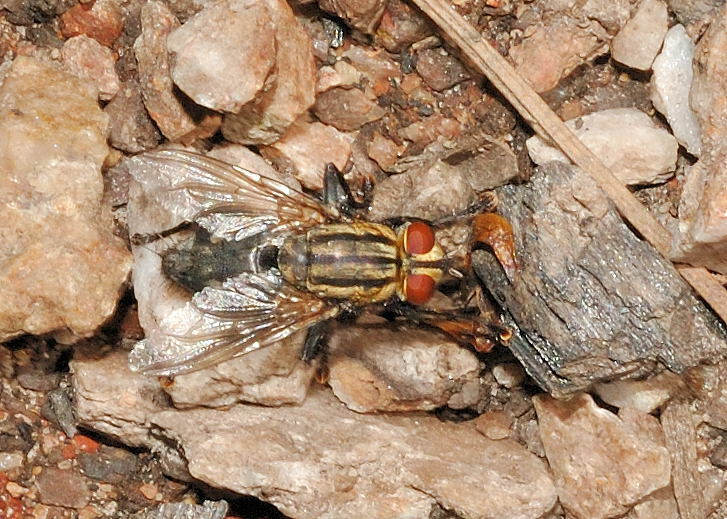 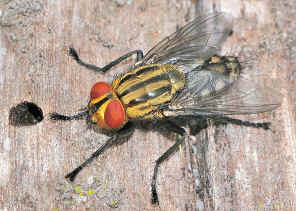 This Flesh fly is pale yellow in colour with three black stripes on the top of thorax. 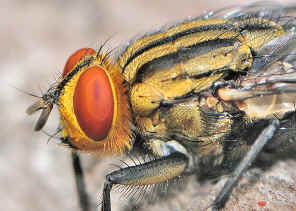 They have large pair of orange eyes. 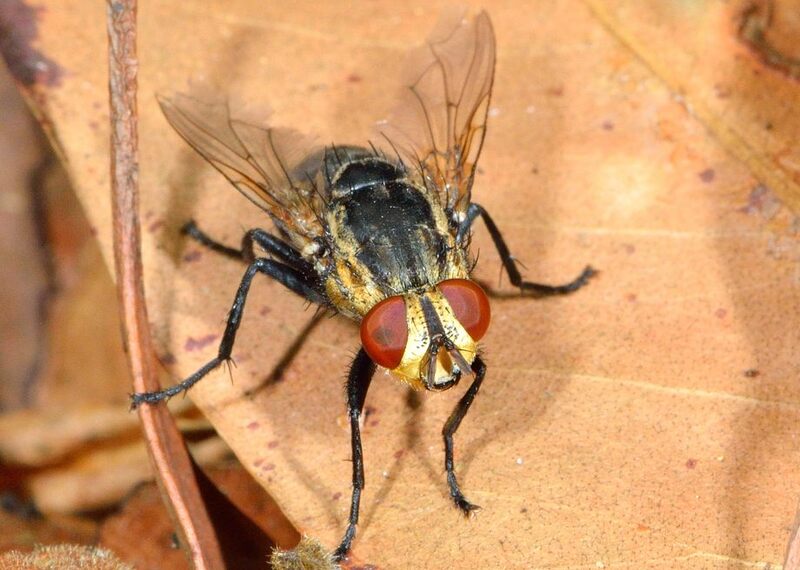 They are also commonly seen in Brisbane bushes. We recognized this Flash Fly by the paler colour of their legs instead of black. 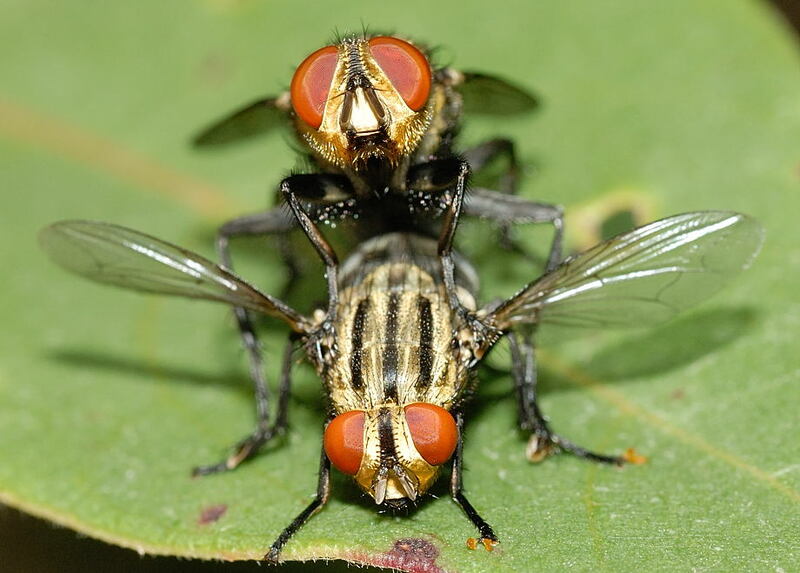 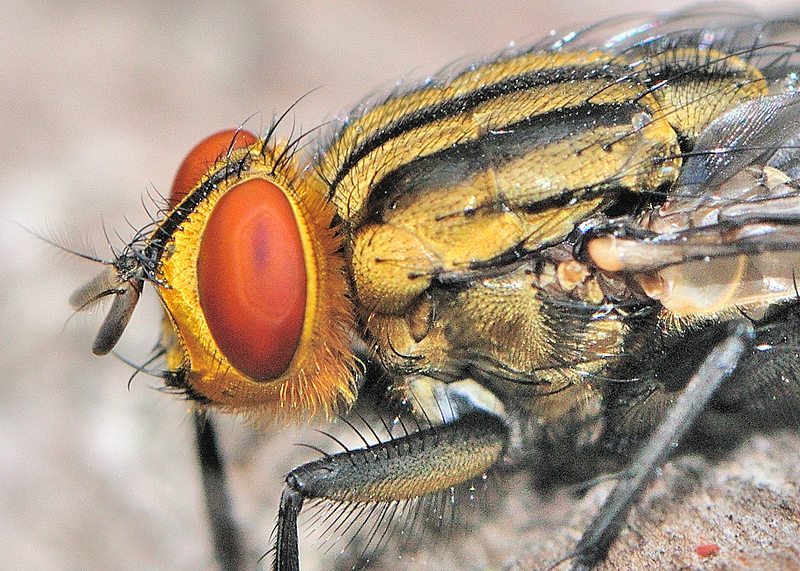 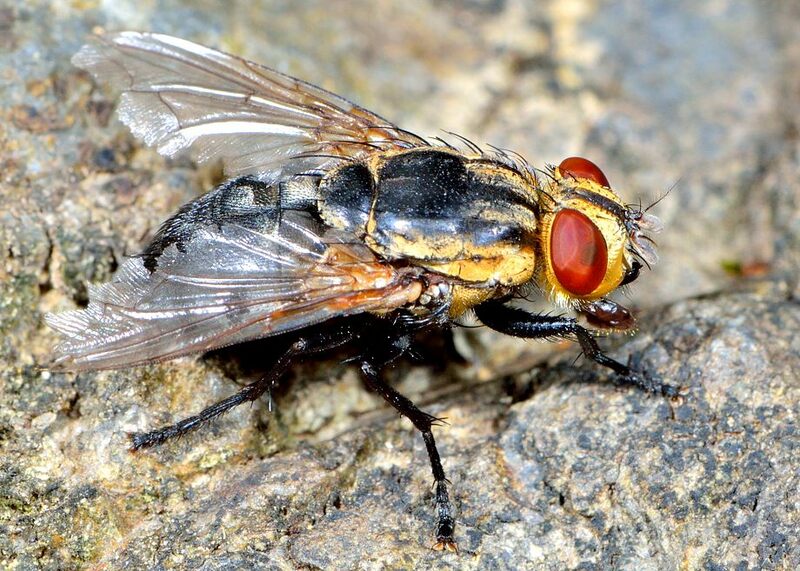 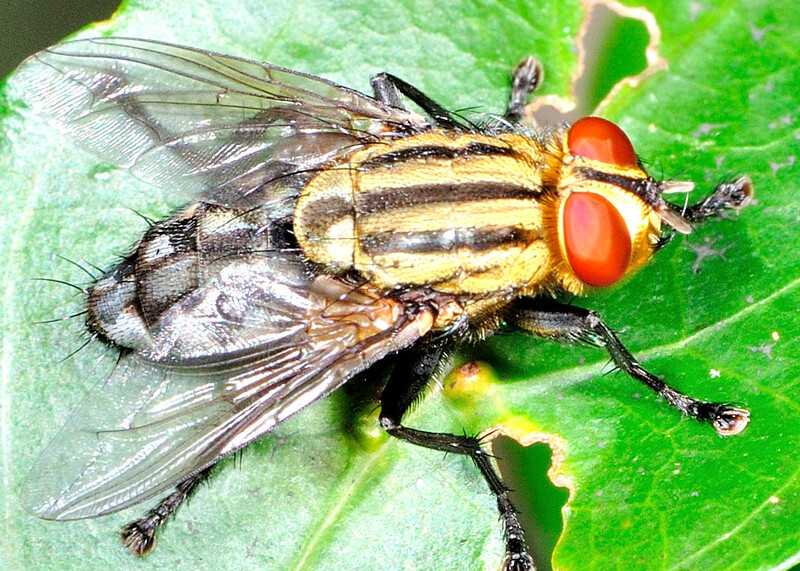 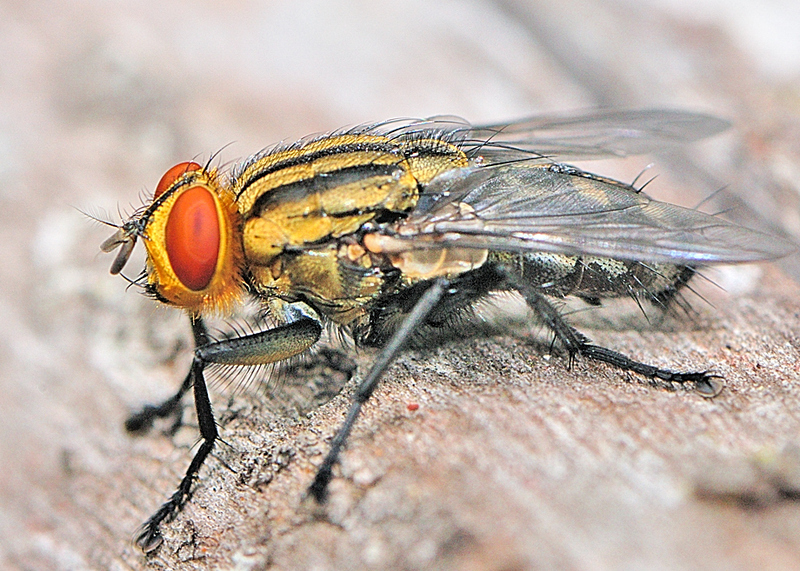 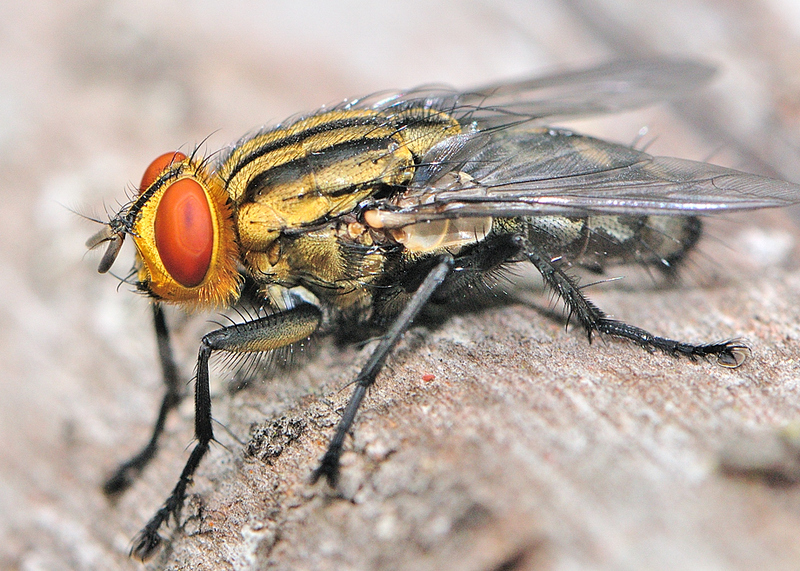 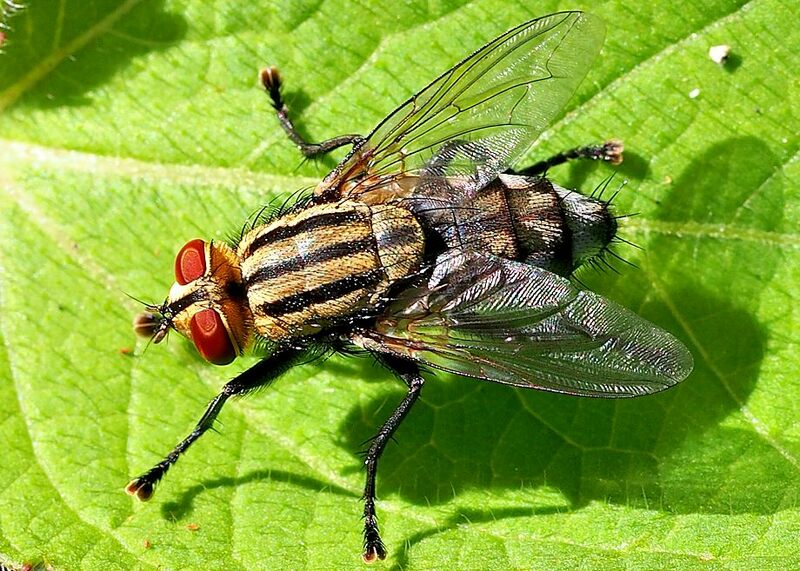 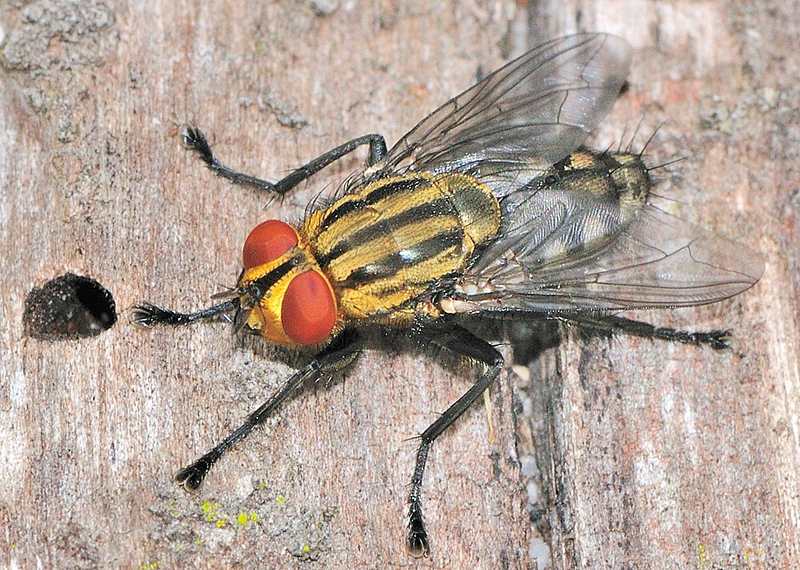 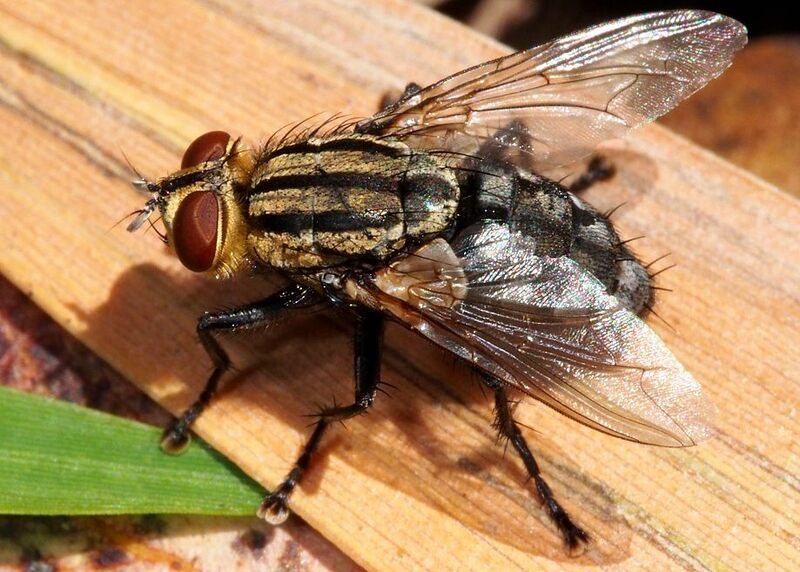 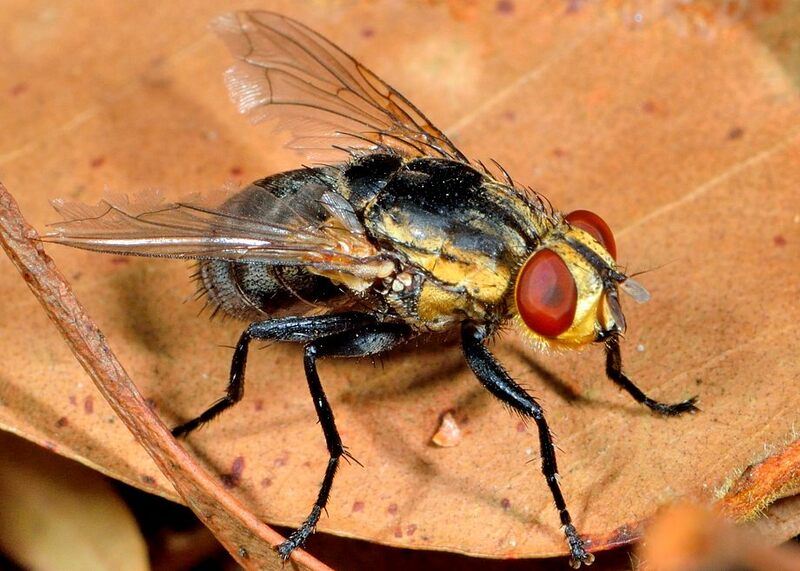 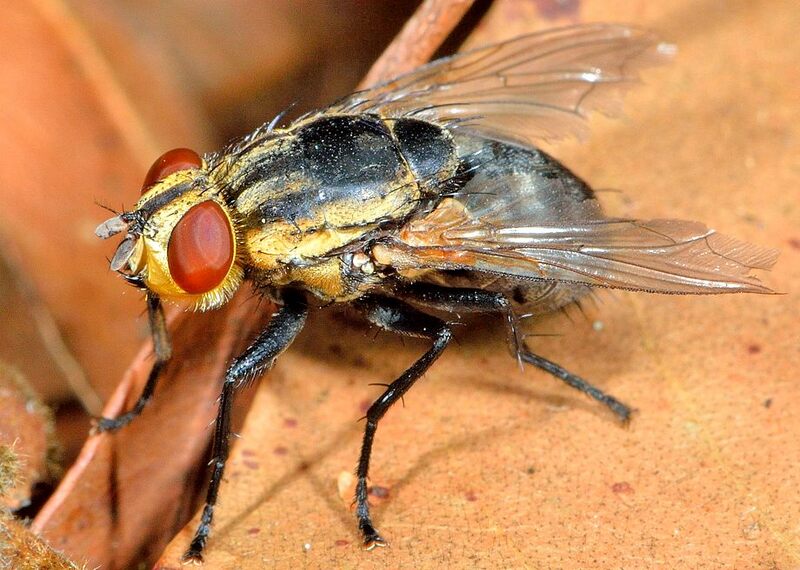 Flies in family Sarcophagidae are from medium to large in size. 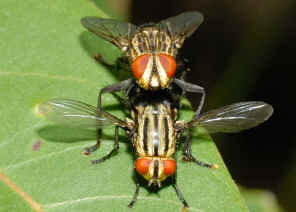 There are many species in this family and they look very similar. Larvae develop in carrion or dung. 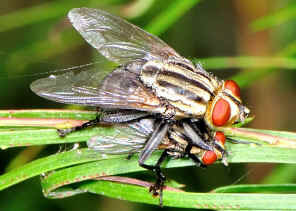 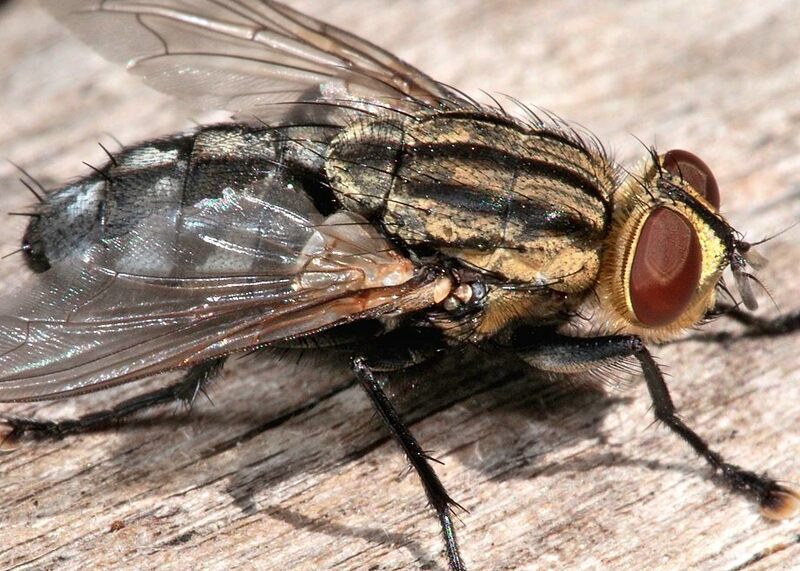 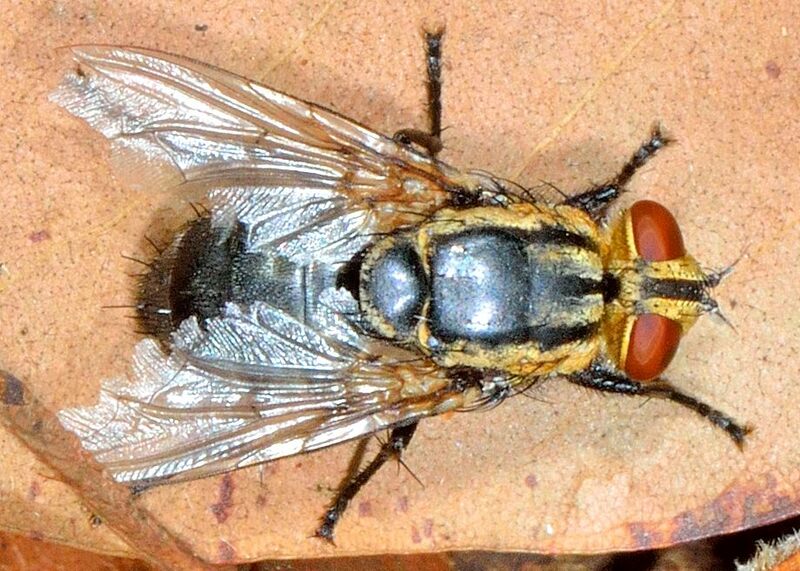 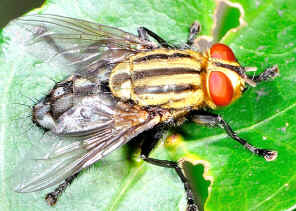 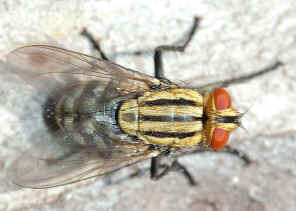 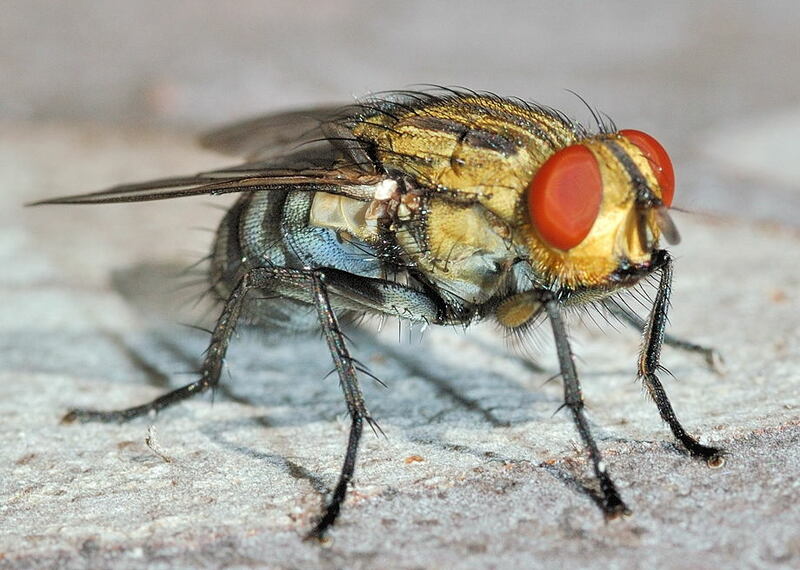 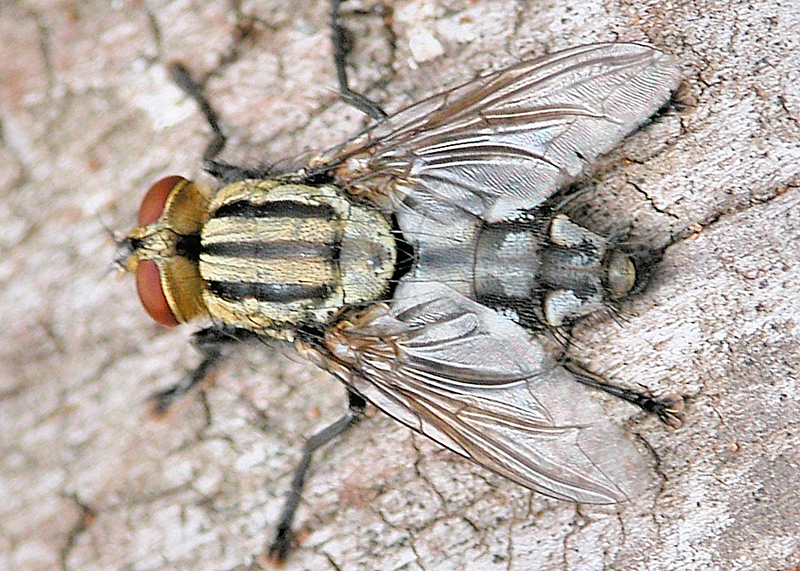 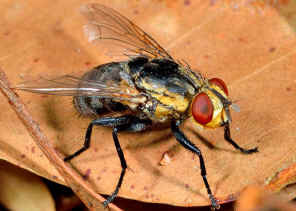 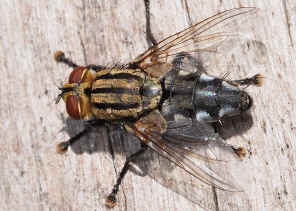 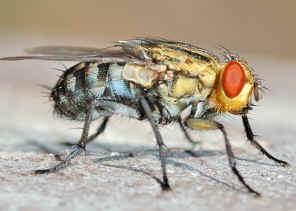 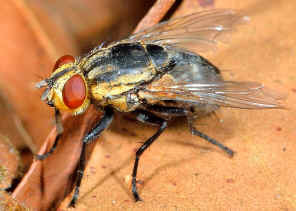 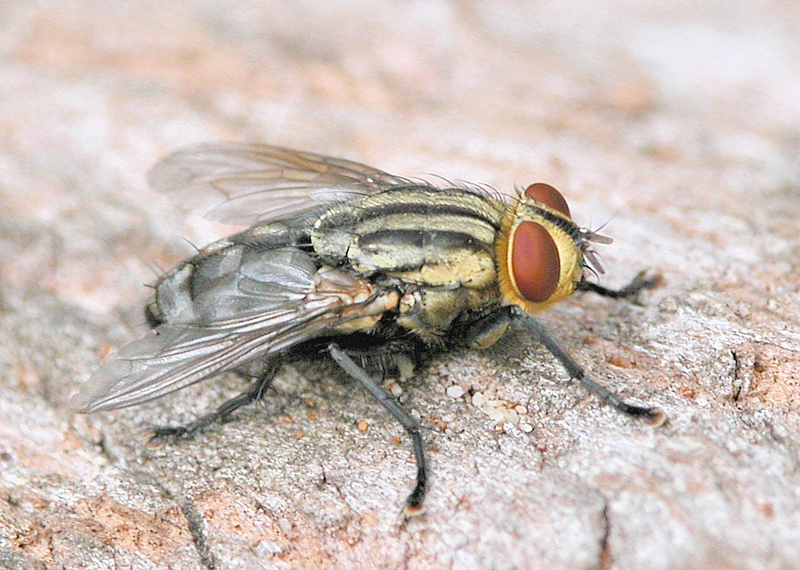 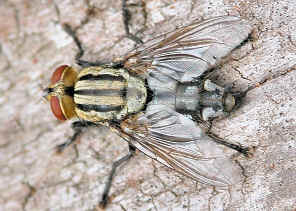 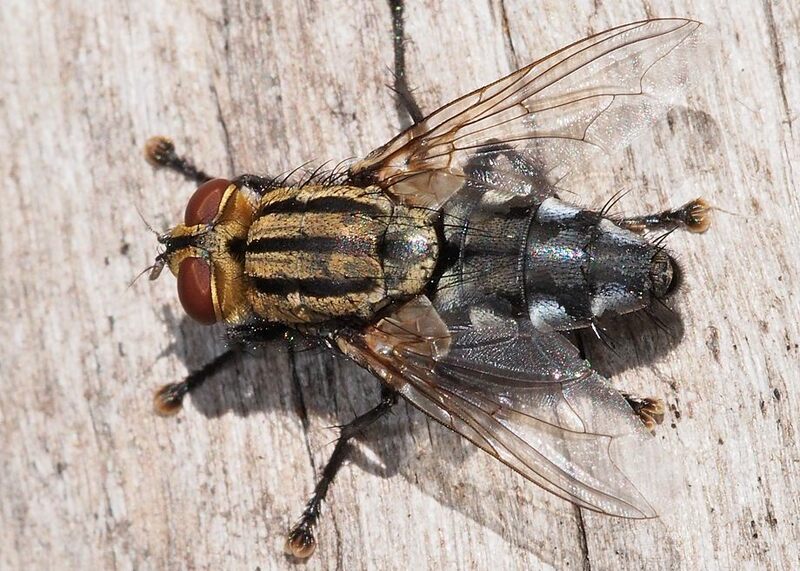 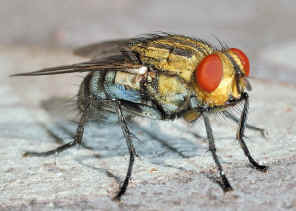 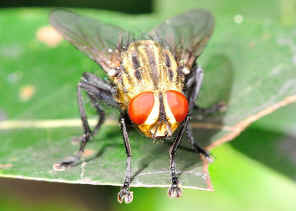 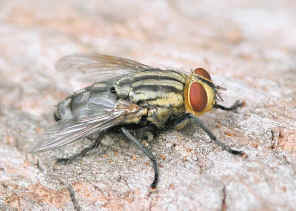 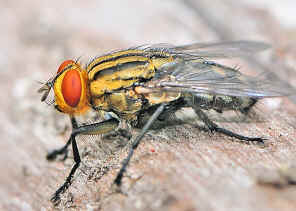 The adult flies are usually black in colour with three grey longitudinal stripes on thorax. Their head is relatively small with bright red eyes. They are very closely related to Blowfly family but they are never in metallic colour. 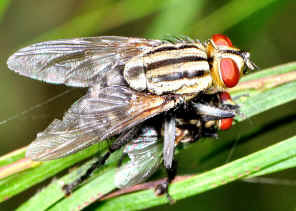 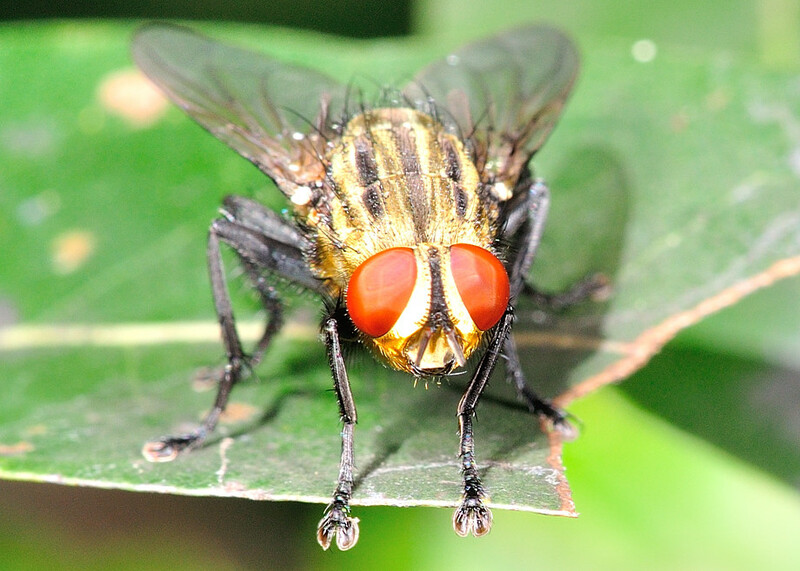 The Flesh Fly females are viviparous, producing live maggots directly onto their food source. 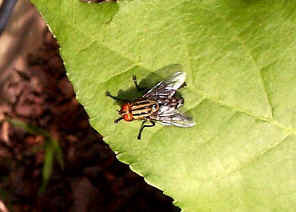 They are either breed in rotting vegetation, carrion, decomposing organic matter or parasites of other insects. Above pictures showing the mating pair. 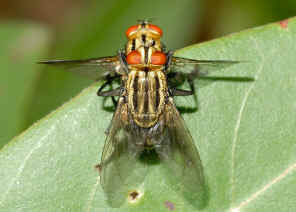 The Flesh Fly males are dichoptic or with semi-narrow frons, never truly holoptic; females are dichoptic.